It’s Memorial Day in the US which typically equals BBQ parties with lots of meat and processed snacks and treats. As a vegetarian I’ll normally enjoy the token veggy burger and nibble on the sides. This year, however, was different. I decided to grill up some not-so-standard veggies on the back deck. My mom offered up her pretty killer grilled artichoke heart recipe, I grilled up some fennel tossed in sunflower oil, and I tried a first ever for me- grilled sweet potatoes- which I’d definitely make again. 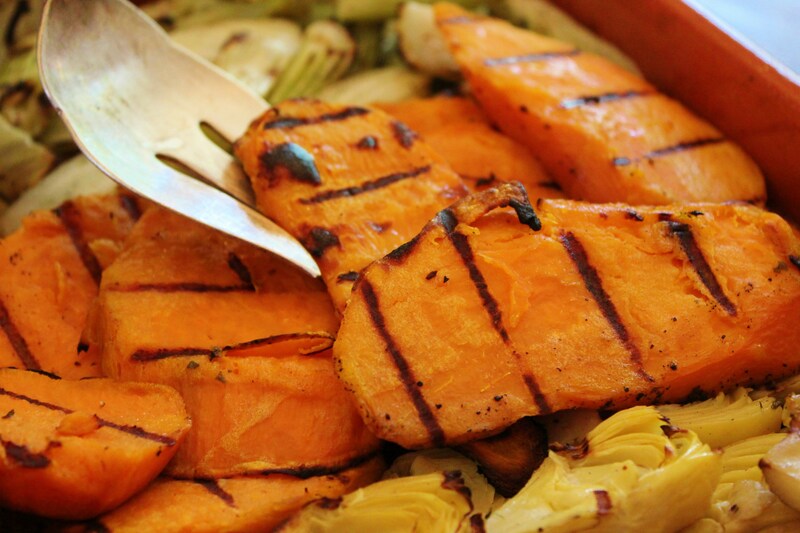 The trick to grilling sweet potato is to steam them first. Otherwise, you’ll end up with burnt potatoes that are raw on the inside – yuck. On the flip side, with a little bit of steaming, you’ll get tender, sweet, lightly charred and smashingly delicious potatoes that are sure to satisfy. Peel the sweet potatoes and cut them on a bias into 1/2 inch thick slices. On the stove top, fill a sauce pot or dutch oven with one inch of water and set collapsible steamer basket inside. 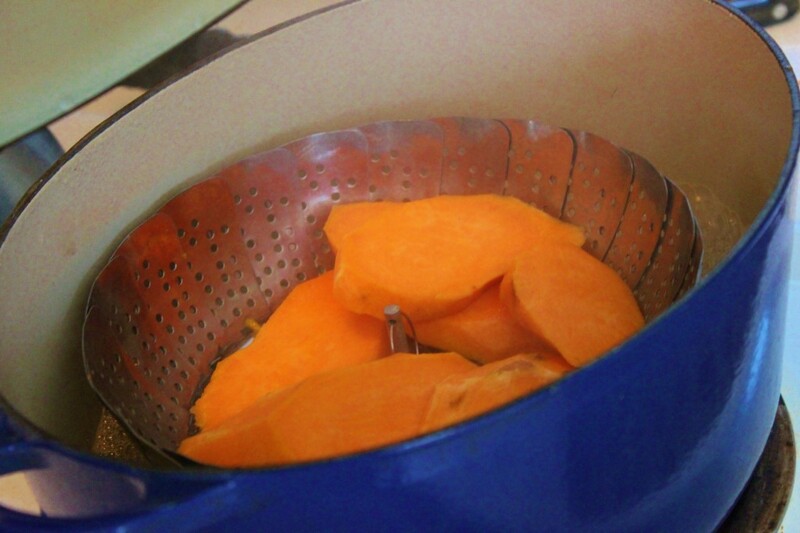 Once water is boiling, place the sweet potatoes into the steamer basket, cover, and reduce heat to low. Cook 12-15 minutes until fork tender. Delicately remove the sweet potatoes from the steamer basket and place them onto a pan to brush with olive oil and sprinkle with salt and pepper, both sides. Transfer potatoes onto a hot grille cooking 5 minutes per side, or until lightly charred. Garnish with parsley. Optional - While you're at it grill up some other tasty veggies as well - Fennel and artichoke hearts are great choices.